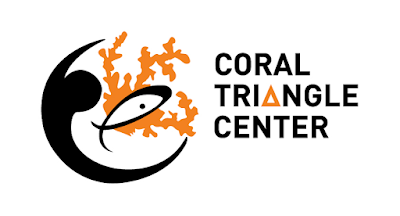 The Coral Triangle Center (CTC) is a foundation based in Indonesia that trains marine resources managers and educates all groups that interact with coastlines and reefs within the Coral Triangle. The applied training and learning programs are adaptive, innovative and customized for different stakeholders to abate threats, address constraints and promote sustainable practices. CORAL TRIANGLE CENTER provides training in marine natural resources management, supports marine protected areas, coordinates a learning network of Marine Protected Area practitioners, connects the public and private sector on coastal issues, and is developing a learning center of excellence in tropical marine conservation. In March 2016, USAID rolled out a project called The Indonesia Sustainable Ecosystem Advanced (SEA) Project that run for five years to support the Government of Indonesia to conserve biological diversity and improve the governance of marine resources at local, district, provincial, and national levels. USAID SEA Project activities are targeted at three levels of governance: the national level, the National Fisheries Management Area (FMA) for the Republic of Indonesia, and three adjacent provinces in eastern Indonesia (West Papua, North Maluku, and Maluku), which lie within FMA-715, one of Indonesia’s 11 FMAs. CTC under USAID – SEA Project works on three major strategic approaches, in which one of them is Strategic Approach 2 – Improve ecosystem management of FMA 715 and MPAs, specifically in supporting effectiveness of MPA management in potential target sites in Maluku and North Maluku Province. Senior MPA Specialist performs, facilitates, and participates in MPA initiation, establishment, and management in USAID SEA Project potential sites of Sula and Morotai in North Maluku, Buano Island and Lease Islands in Maluku, and other new potential sites identified in the project. Senior MPA Specialist participates in USAID SEA Project MPA planning and management processes, manages survey and marine conservation data, participates in MPA zoning system and MPA planning development. His/her job includes supervision of the implementation of conservation activities in the field, collaboration in scientific analysis and collaboration on the development of MPA institutional scheme, including communication responsibility with a variety of MPA stakeholders. The work includes collecting, assembling and analyzing various types of data in the field of through secondary document surveys, coordinate and/or produce maps using GIS software and assisting in the production of reports. Senior MPA Specialist’s work is done both in the field and an office setting specifically in Ambon, the capital city of Maluku Province. He/she will work under the supervision of the CTC-SEA Project Manager and in close coordination with the CTC Field Learning Sites Manager.